June 2009 Update to this information. Work has begun on the Roseberry Homestead! See the official website for more information. 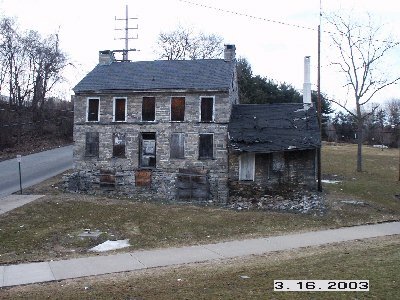 John Roseberry Homestead located at 540 Warren Street, this stone house dates from around the period of the Revolution and is probably the oldest structure in Phillipsburg. 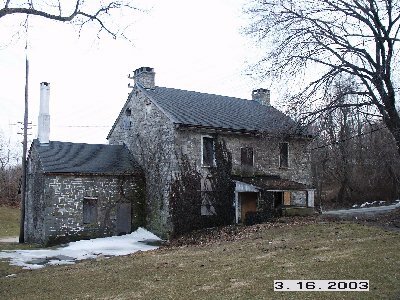 This two-story, stone, center-hall Colonial home was built in the late eighteenth century by one of Phillipsburg’s earliest and most influential settler families. The house has a bank cellar and other original details inside and out, although some later revisions were made. John Roseberry, Sr., [Ed. note: According to genealogical information, Michael Roseberry, born abt 1682, was the progenitor of the Roseberry clan in NW NJ.] 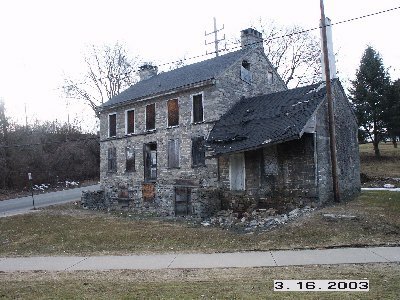 was one of Phillipsburg’s original settlers; and a member of the Roseberry family sold 300 acres north of this house for new housing to accomodate the growth of Phillipsburg following the construction of the New Jersey Central Railroad in 1852. About 30 years ago the predecessor of the Phillipsburg Historical Society mounted a major effort to restore the Roseberry house on Warren Street in Phillipsburg. Unfortunately, disagreements about the direction of the restoration once the basic work was done led to factions which ultimately caused the old society's dissolution. The building is actually owned by the Phillipsburg School District. 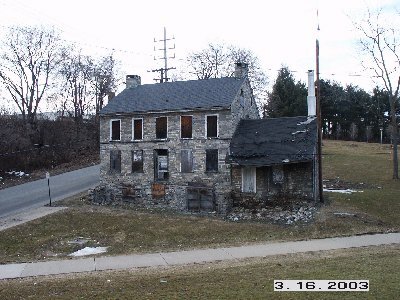 A grant was awarded for preservation/restoration for the Roseberry house, but the grant money is being funnelled through the Warren County government. To date, the Phillipsburg History Society has been unable to get any answers from the governmental officials about when any contracts will be signed for the work to be done. The historical society are especially distressed at the building's current condition, since some of its members were involved in the work done in the 1970's. The Society welcome anyone's assistance in moving the project along, but they are at a loss regarding what action would be effective. Any suggestions would be welcome. 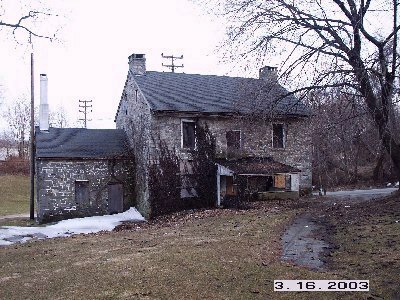 *At the time of his birth, the home was located in Greenwich Township, Sussex County, New Jersey. The plaque on his grave at Pioneer Cemetary in Point Pleasant, WV, incorrectly states that he was born in Green Co., PA.